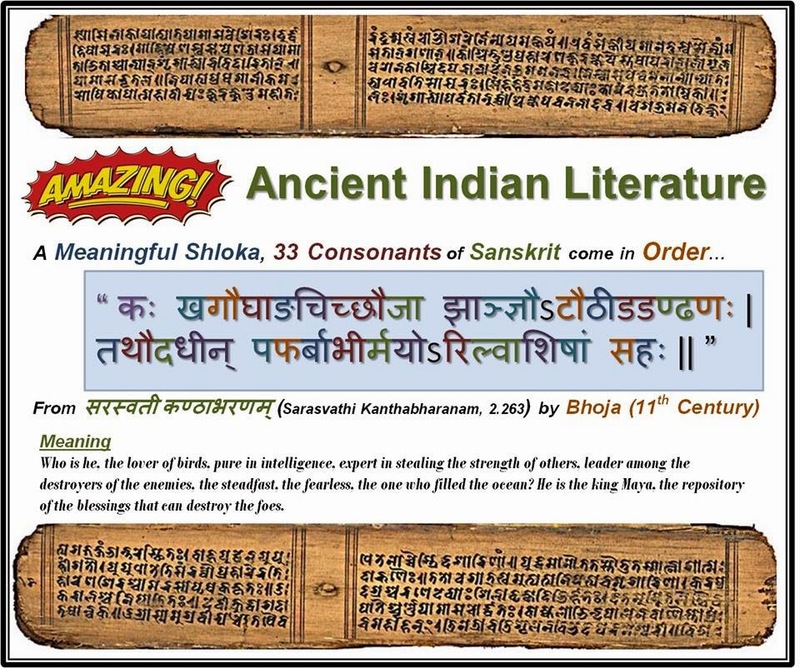 All the 33 consonants of Sanskrit language, used in their logical order, to form this meaningful shloka. Bhoja's time nearly 1000 years ago. Who is he, the lover of birds, pure in intelligence, expert in stealing the strength of others, leader among the destroyers of the enemies, the steadfast, the fearless, the one who filled the ocean? He is the king Maya, the repository of the blessings that can destroy the foes.